Copyright © 2010 Eric C. Graff - This image is copyrighted. Unauthorized reproduction prohibited. 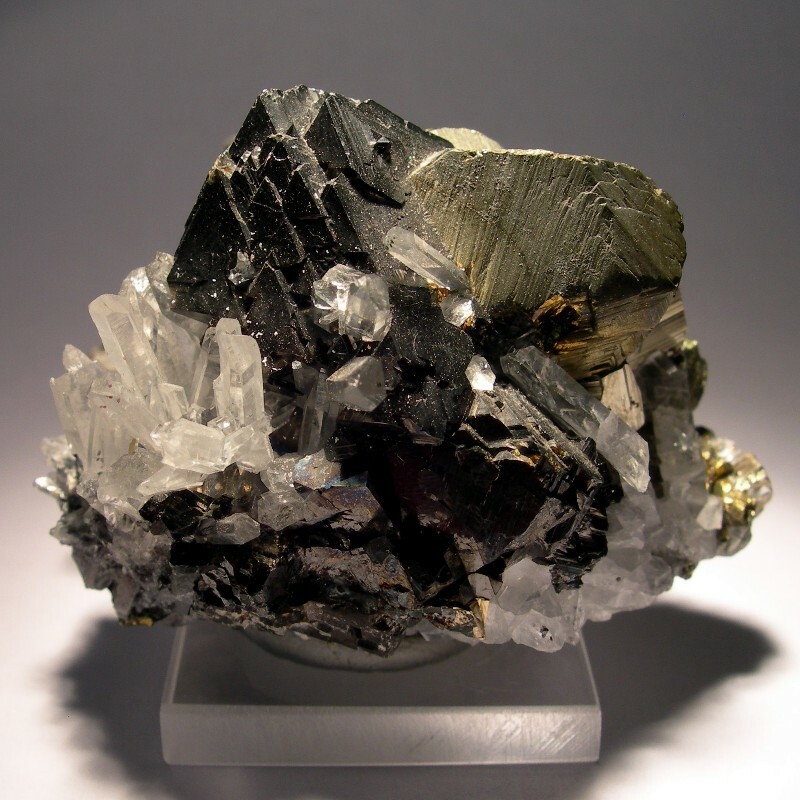 This specimen consists of a dark brown-black sphalerite crystal with single crystals of chalcopyrite and pyrite perched on the sides. There are also numerous small white translucent quartz crystals.